At the early of November, I had chance to go to Finland primary school, this is the place where every basic educator aspire to. 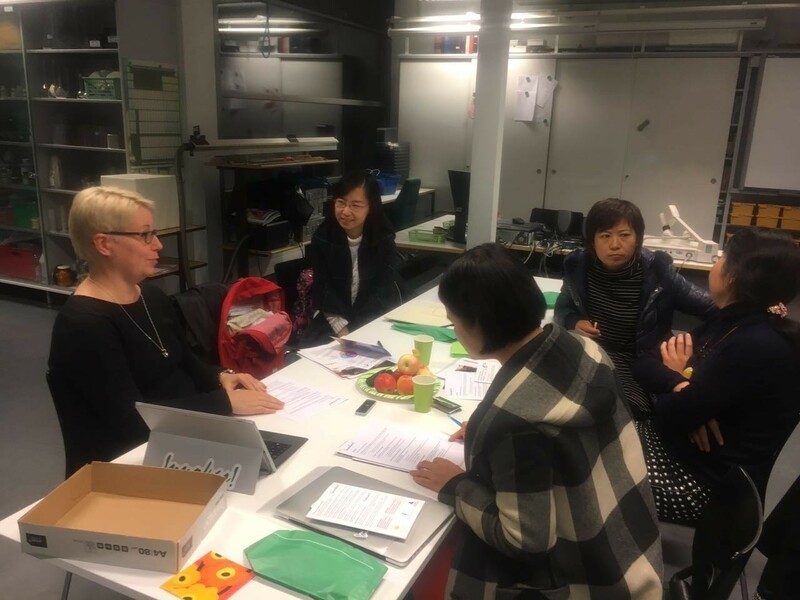 The first day in Finland, I had a chance to follow the teachers from Zhongguancun No.3 primary school to Helsinki University and have a conversation with Jari Lavonen and Tiina Korhonen. From this meaningful talking, I knew that the education system in Finland, the way of teacher training, the important qualities in 21st century, teacher cooperation , crucial ability of teachers in school life and so on . I learned that teacher is the very important part in this education system. SYK is a historical school，and has its own long story，the basic values of this school is respect，trust and growth as a person. When we come to this school, we had chance to talk with the school principal who told us the background of this school, the school history and the management philosophy and characteristics of this school，they pay more attention on the value of open, equality, freedom. Every school has their own education culture. What impressed me the most is the school corridor. 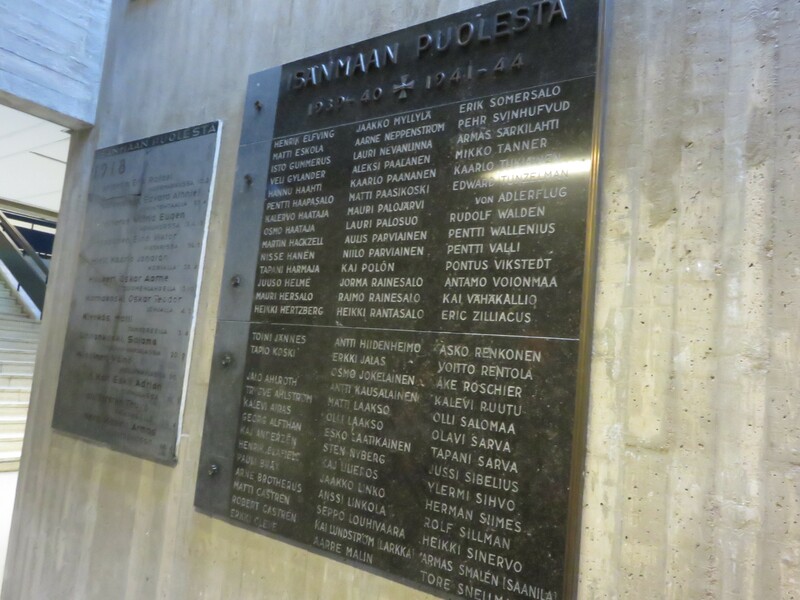 In this corridor, it is showing the pictures of school history, school building changes，and a special wall which exhibited the people’s names who make contribution to the country construction. This school share the history with students, it is also a very good education resource to encourage students to make greater progress. By understanding history, we can be better developed in every aspect in future life. 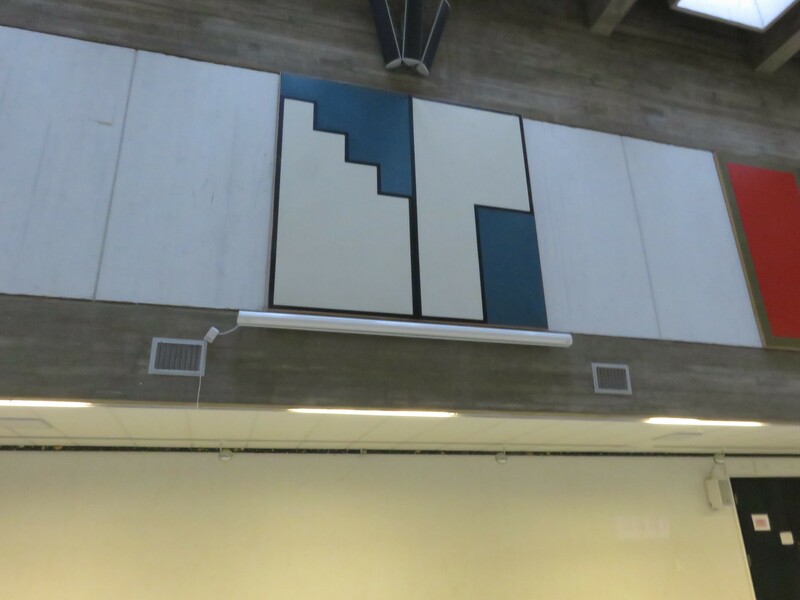 I also saw the pictures which are very simple color and lines with the shape of door, the principle told us they used to encourage students should continue to progress, be brave, and have courage to open every door in their life. 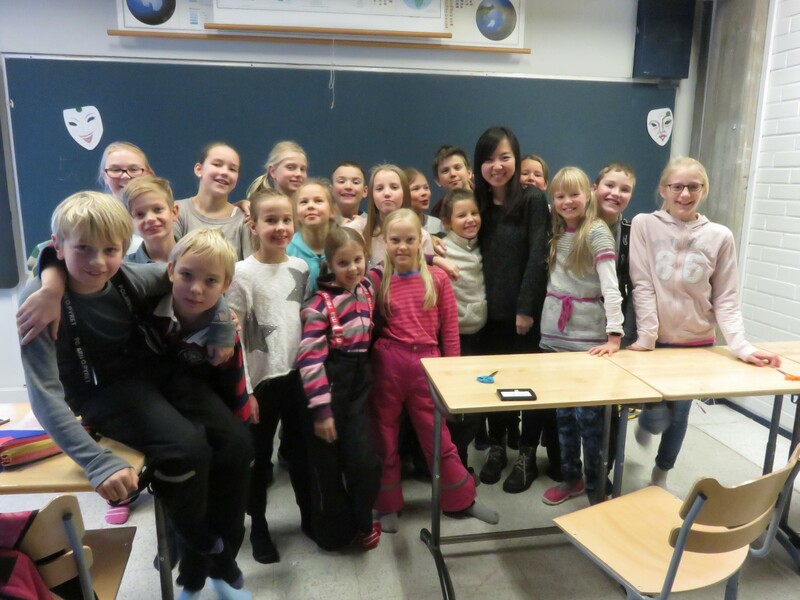 In SYK, I spent one week to follow Raini to experience the real school life in Finland, it is very valuable chance for me to know the education in different country, although we have different language and culture background, but we have the same passion for better education and love for children. Raini taught me a lot and answered my questions very patiently，she tried her best to explain everything in her class, I am very touched! After I graduating from university, I want to be a good teacher and share my thinking with others. In this school, I learned a new learning way is “Phenomenon Based Learning”, this learning way can combine subject knowledge with real life together, children can find the studying point which they are interested. Children enjoy learning, teachers are creative to use different ways to motivate students. Every teacher has their good way to teach，and all teachers can be trusted by school, family and society. In the process of learning，teacher will have a clear study plan, pay attention to every student, and give special guidance to children. 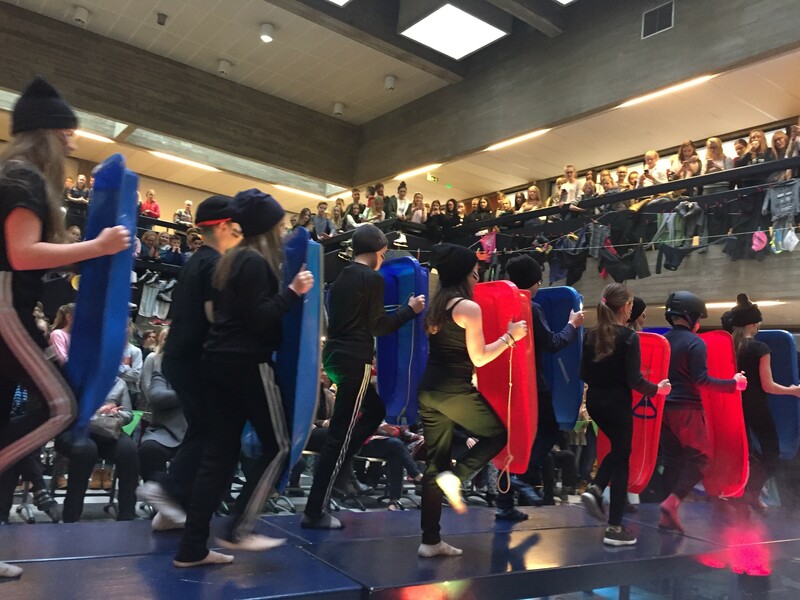 Students can have their own choice to join in or not. In different project phase, the teacher will have different arrangement, teaching method and works exhibition. In this school, I saw all teachers and all children can be treated equally. The atmosphere here is relaxed and fun, but rules are also strictly required. 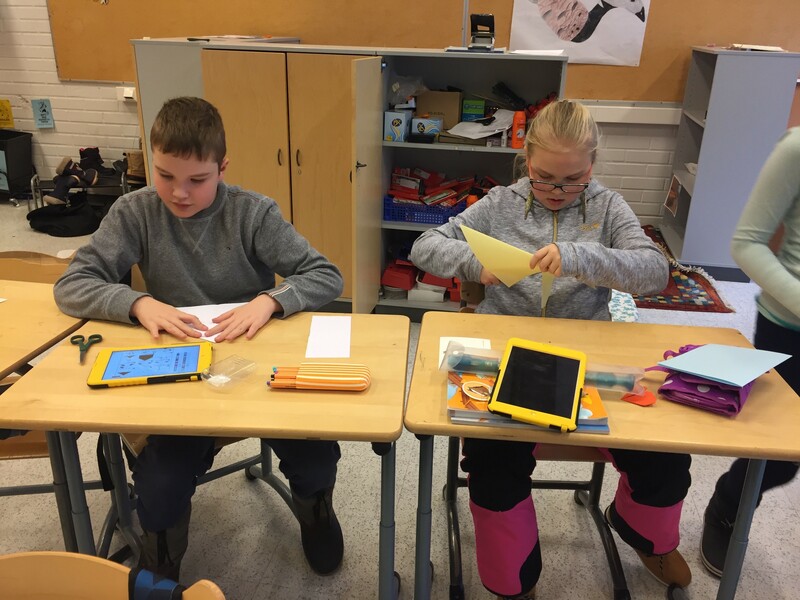 In Finland school, technology science is used widely. Every student has their ipad and phone. I had chance to join in a computer courses，we learned how to use an website called ’’Prezi’’ to make a topic presentation which they are interested. In another school, I saw teachers guide students to play an interesting “coding game”, the degree of difficulty according to their grades. They are having fun by learning. In Raini’s class, I saw every students be encouraged to solve the problems by using technology, search the information what they need. It is very good way to learn the knowledge what they can not learn in limited class. I asked a boy ”Can you control yourself not to use your phone and play games in school ?”, the boy answered me: ”I like school very much, I just use my phone when I am allowed to use.” So excellent answer! We should try our best to let children love school, it is the basic explanation for all question. From my observation, I know that every teacher at SYK pay much attention on the topic of “environment protection”, from lower grade to higher grade, they all have environmental studies. 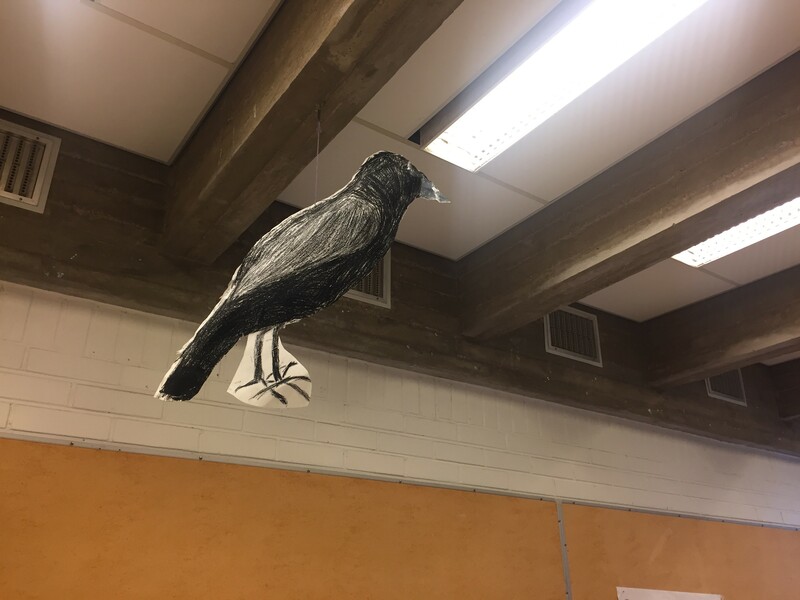 In fourth grade, teacher led children to know nature in different way, like “nature watch”; in 9th grade, they had an expert teacher to teach them to promote the awareness of environmental protection by using shadow play; in their school activity, I was lucky to see their material recycling Design show, very interesting！They used very creative way to design the wasted material. This kind of learning related to our real life, the development of society and the world environment, very meaningful! I think teachers are the most important part in Finland school. In SYK, I saw many nice, warm, talented and experienced teachers. 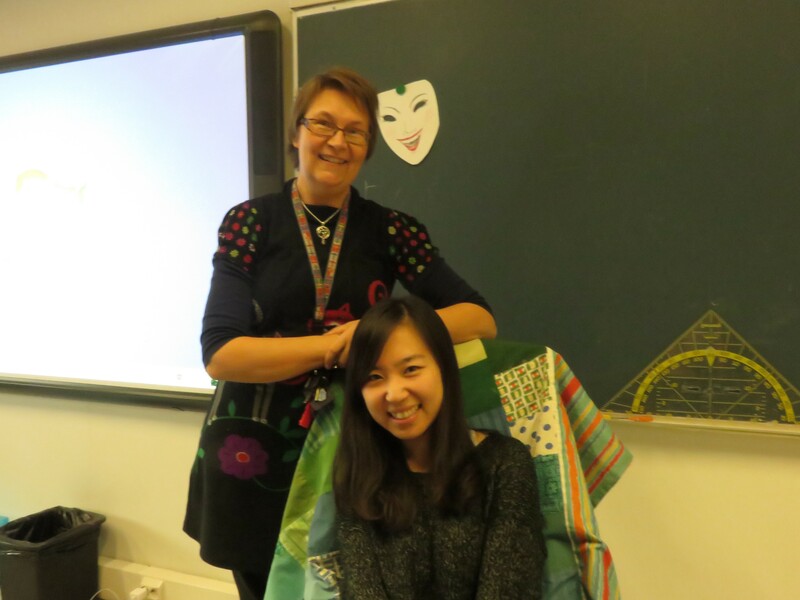 Through talking with Tiina and practicing with Raini, I found that “teacher cooperation” is very useful way to have self-development for teachers. 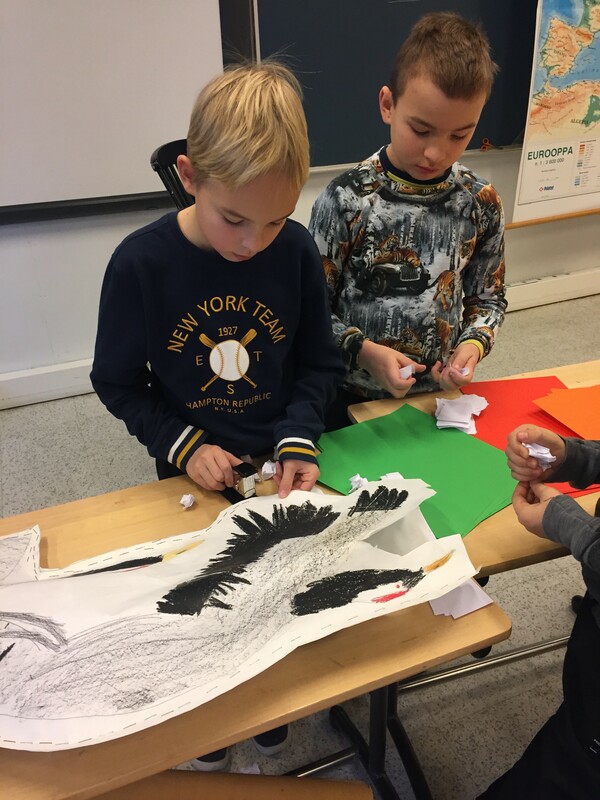 In Raini’s fourth grade, every Wednesday, four teachers will gather together to have a discussion，aim to make a new study plan，share expericences，solve new problems and so on. In Raini’s study project, she want to help children to know the different weather, temperature，plants and animals in different areas in Finland at the same time, she will cooperate with teachers in different areas, they use video, pictures to know each other, it is very informative way to teach with the way of teacher cooperation. In future work and study life, I will try to make self-improvement, strive to become a professional teacher, and provide better learning resources to my students. Thanks for Raini set a good example for me. This entry was posted in Uncategorized on November 29, 2016 by tiinakorhonen.